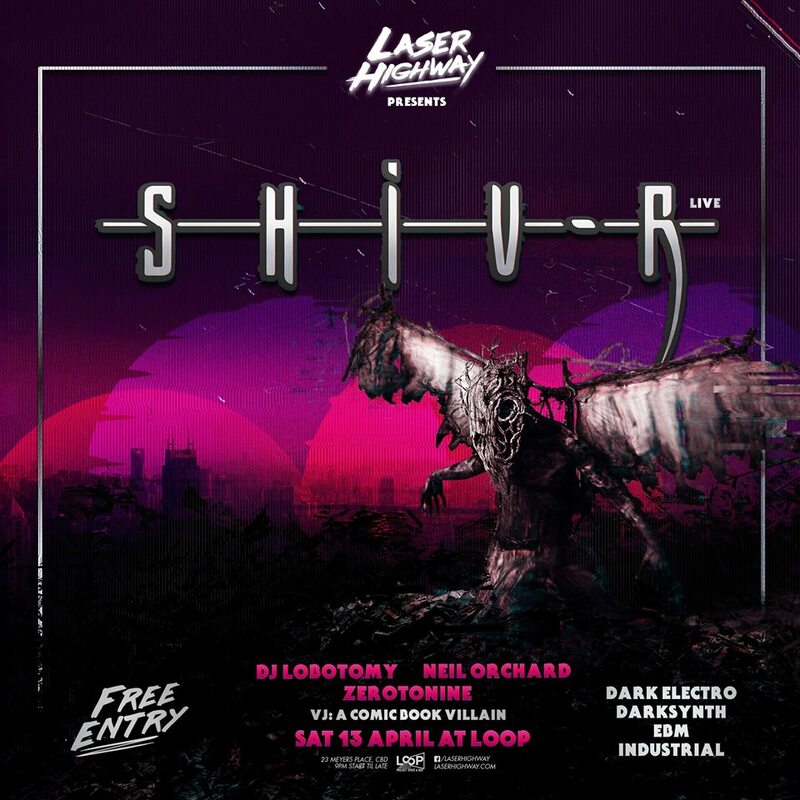 Laser Highway – Oz/Melbourne's first monthly dedicated night to synthwave, outrun electro, 80's jams and more from the retro future featuring the finest DJs and live acts! Oz/Melbourne's first monthly dedicated night to synthwave, outrun electro, 80's jams and more from the retro future featuring the finest DJs and live acts! In April, Laser Highway flicks on dark mode as we explore sights and sounds in the more evil side of cult electronica. We’re proud to host two acts linked closely with the local dark electronic scene making their Laser Highway debut, rounded out with favourite regulars to make this night a delightful delve into a digital dystopia. Join our mailing list for news on all our upcoming events and more delivered directly into your inbox! Laser Highway is a monthly nightclub event in its fourth year of operation featuring an incredible sound system, laser light shows, projection art, cocktail list, a big screen multiplayer game space and a pounding dancefloor to transport you to your retro home away from home. We’ve prided ourselves on creating a radically inclusive alternative club night to give you an experience that’s all about those thumping beats, synthesized basslines, good times and a touch of nostalgia and camaraderie from your past, present and future friends that you haven’t yet met. We’re planning on expanding into the international touring market nation-wide by taking our ethos and production values to venues across Australia from 2019 and beyond. Zerotonine is the host, resident performer and runs Australia’s first monthly club night dedicated to synthwave, outrun and retro electro: Laser Highway in Melbourne. As a labour of love, he is dedicated to providing a unique experience for music makers and fans alike. He is also the co-host of www.kissfm.com.au’s (87.6 in Melbourne) Retro Electro Show from 2pm Wednesdays AEST. Proudly powered by WordPress	| Theme: Laser Highway by Grey McGowan.